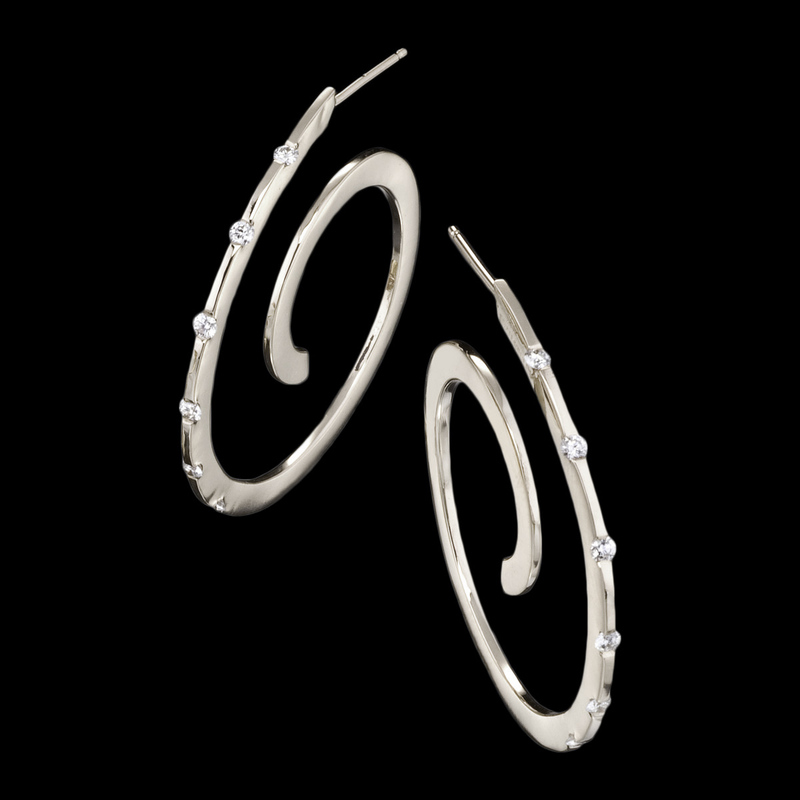 Spirale diamond earrings are timeless and chic. These unique and fashionable earrings feature diamonds set in 14kt yellow gold. Also available in rose and white gold. To purchase, call us at (949) 715-0953 or use our contact form below.